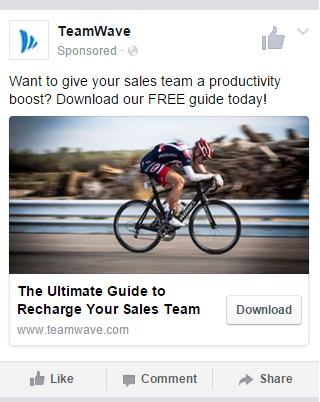 Back in 2015, Facebook launched Leads Ads and this is a win-win situation for both Facebook and the advertisers. One of the primary concerns for Facebook Ads is to provide a seamless user experience. 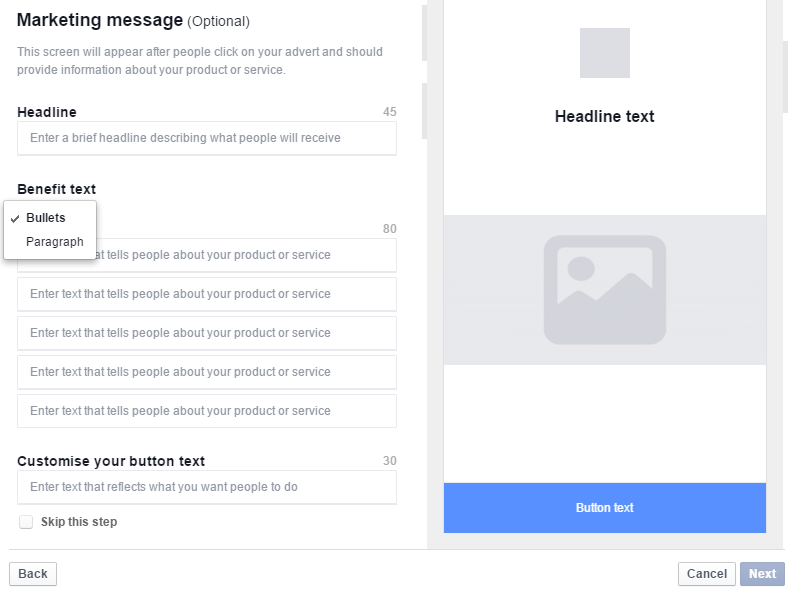 When someone clicks on an ad in Facebook, the external link loading might get delayed and the ads also take users out of Facebook. Moreover in case of mobile devices it very difficult for advertisers to capture leads via forms, as the screen size can impact responsiveness of the website and there is always an intrinsic difficulty in filling forms in small devices. What exactly is a Lead Ad? Leads Ads solve the aforementioned problem, by providing ads with improved load time and a CTA for capturing leads that actually pre-fills user data from their profile. These CTAs can be anything suitable for capturing leads; for example – sign up, apply now, download, subscribe, etc. This way users can swiftly fill the form with a tap/click and submit information without leaving Facebook. Advertisers also get the opportunity to ask customized questions. How to Create Lead Ads? In this post, we’ll go through the process of creating Ads via Power Editor. 1. 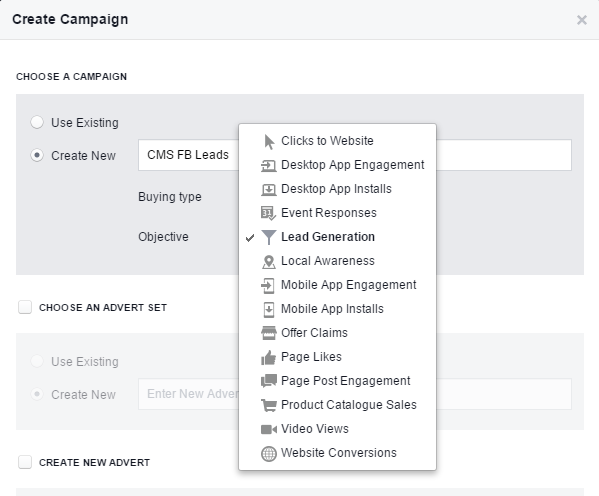 Once you browse to Power Editor, click on “Create Campaign” and choose “Lead Generation” in the Objective dropdown. 2. In the “advert set”, you can follow the usual process of setting budget, schedule, target Audience and ad placement. 3. Finally choose the Automatic or manual bidding and jump to “adverts” level. Here is a sample Lead Ad. Just below the creative section, you’ll see the button to create lead form. Select “Create a new form” and click “next”. 2. In the next screen name your form and click next. 3. 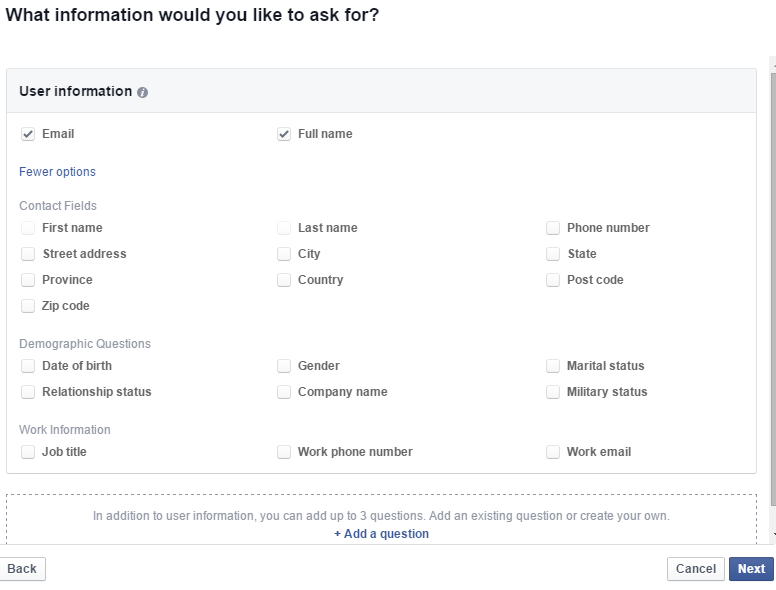 Facebook will automatically select “email” and “full name” field. Click on “show more” to open up many other options. 4. As you can see in the bottom of the above image, there is “Add a question” button to add 3 custom questions. 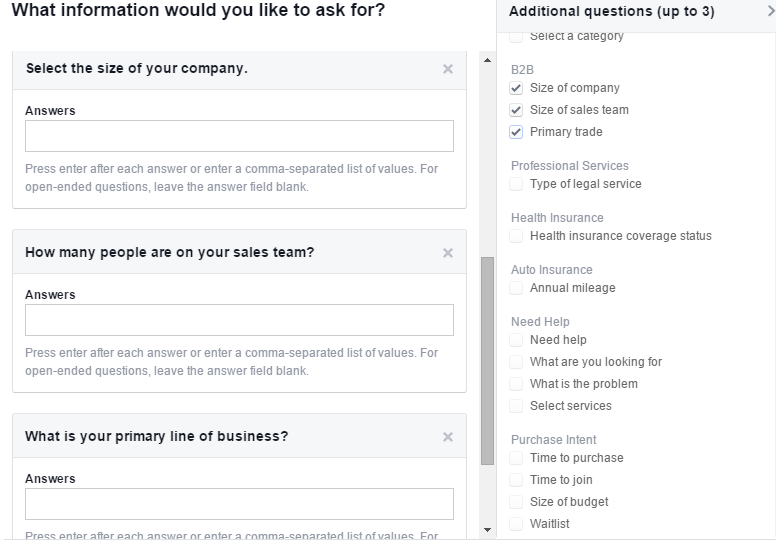 By default Facebook has created some questions depending on the industry and business scenario (Automotive, Health Insurance, Education, eCommerce, Purchase intent, etc.). 5. Alternatively you can also choose to create completely new questions by clicking on “Add Custom Questions”. 7. In the next step provide you website link and move on to add marketing messages to show users additional information. Choose between bullet and paragraph format. 8. Finally Preview your and click on “Create Form”. Once your is live, you can access the leads and download from “Publishing Tools” section of you Facebook page. Click on “Forms Library” present in the left hand side column. Now you can manually download the leads. 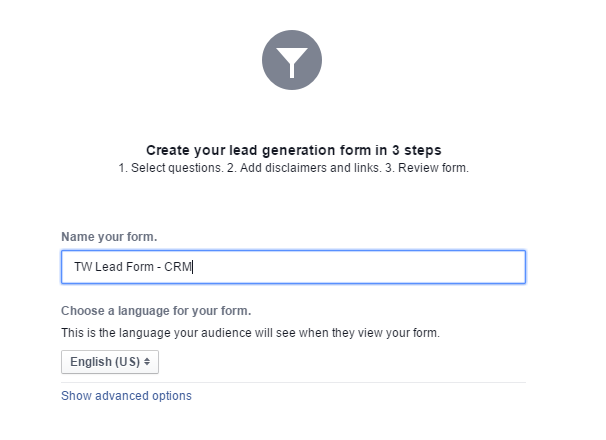 You can import these leads into your CRM app. 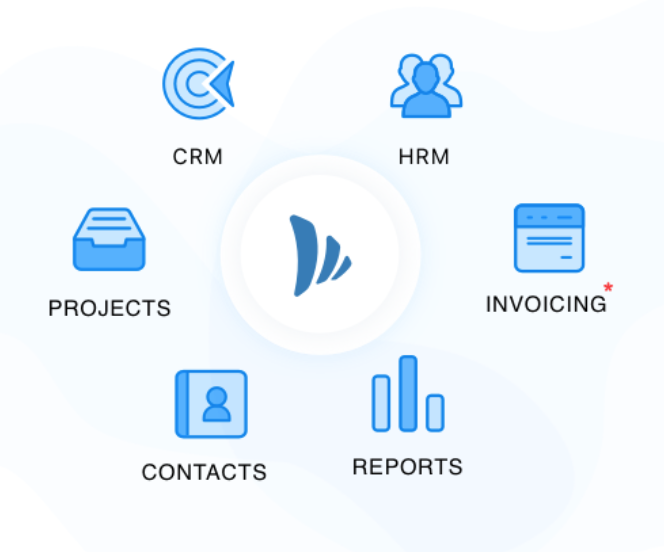 For example: TeamWave’s CRM app lets you easily import deals and contacts from spreadsheets.